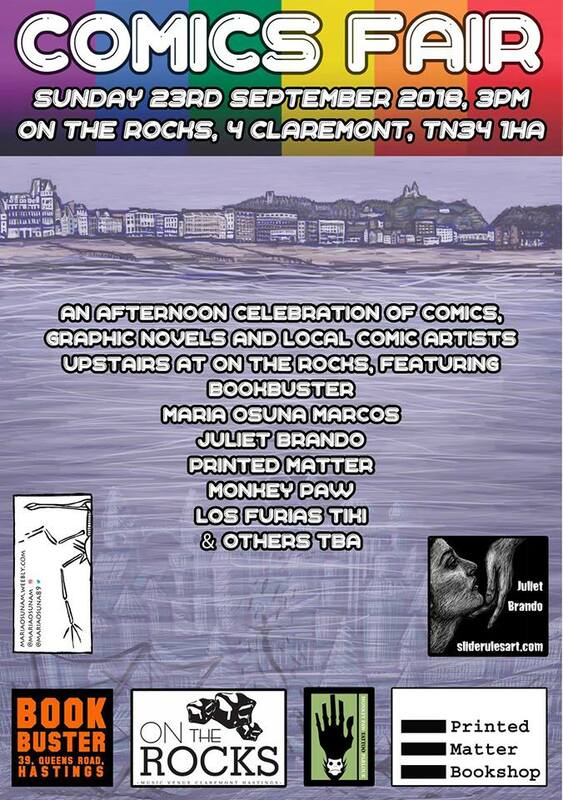 Be upstairs at On The Rocks Hastings at 3pm on Sunday 23rd September for a celebration of comics, graphic novels and local comic art! Volume 3 of Land Creatures by Juliet Brando will also have its official launch. Los Furias Tiki, and others TBA.